Coming this fall, USC Fisher Museum of Art dives into the murky waters of plastic pollution with its new exhibition, Gyre: The Plastic Ocean, on view from September 2 through November 21, 2015. The exhibition explores the complex relationship between humans and the ocean in a throwaway culture, where plastic packaging finds its way into our ocean biosphere and then into the hands of artists. Our oceans are dynamic systems, made up of complex networks of currents that circulate water around the world. Large systems of these currents, coupled with wind and the earth’s rotation, create gyres—massive, slow, rotating whirlpools in which marine debris accumulates. Any kind of trash can get into the ocean—from glass bottles to aluminum cans to foam carryout containers. The vast majority of marine debris, however, is plastic. The North Pacific Gyre, the most heavily researched for plastic pollution, spans an area roughly twice the size of the United States. Designed to last, world-travelled plastic breaks down into tiny pieces called microplastics, which can be mistaken for food by even the smallest sea creatures, as well as large animals like seabirds and fish, causing severe health problems. Investigating issues of the contemporary culture of consumption and its consequences on nature, Gyre: The Plastic Ocean, tackles the big picture by bringing together visual arts and science. The exhibition tells a global marine debris story through the work of 25 artists and a National Geographic film. The artworks in the museum’s three galleries encapsulate the entire space, positioning visitors within the center of the trash that, we, as the human race, are responsible for creating. While the bright colors, intricate designs, and skillful creations of these works are aesthetically pleasing, they stand as testaments of negative human consumptive practices and the permanent damage done to the environment. In their works, some artists such as Judith Selby Lang and Richard Lang, take an almost archaeological approach to collecting and curating bits of plastic trash while fashioning it into works of art. 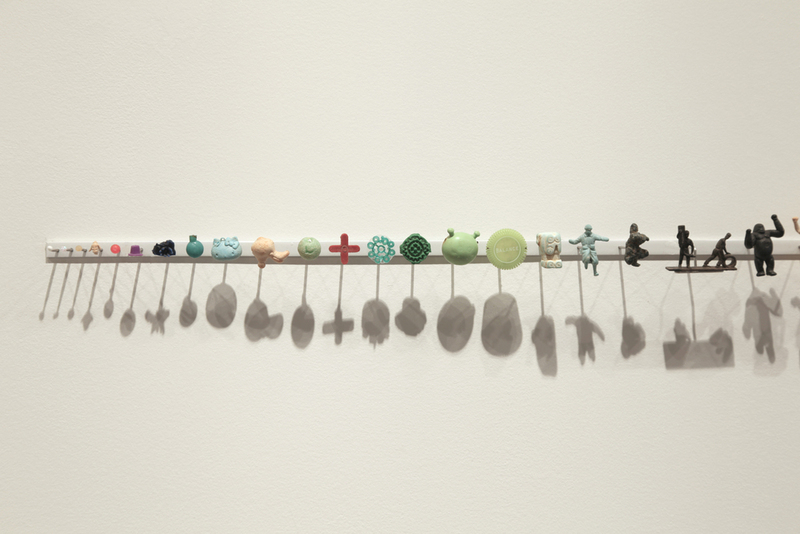 Others, such as Anne Percoco, collect materials to create community-based work that is often tactile and playful, meanwhile Los Angeles-based artists Dianna Cohen and Cynthia Minet create visually stunning artworks designed to make the viewer think about the overbearing outcomes of contemporary ways of life. In its only showing in California, Gyre: The Plastic Ocean is expected to have a profound impact in Los Angeles, especially at USC, where the environment has long been a priority through the USC Wrigley Institute, USC Sustainability and various student groups. Gyre: The Plastic Ocean offers a new, artistic face to the previously scientific and political issues of waste, conservation, and sustainability, providing a new outlet to spread awareness while furthering opportunities to spark problem-solving debates at a much-needed time in Southern California. Gyre: The Plastic Ocean is organized by the Anchorage Museum in Alaska. 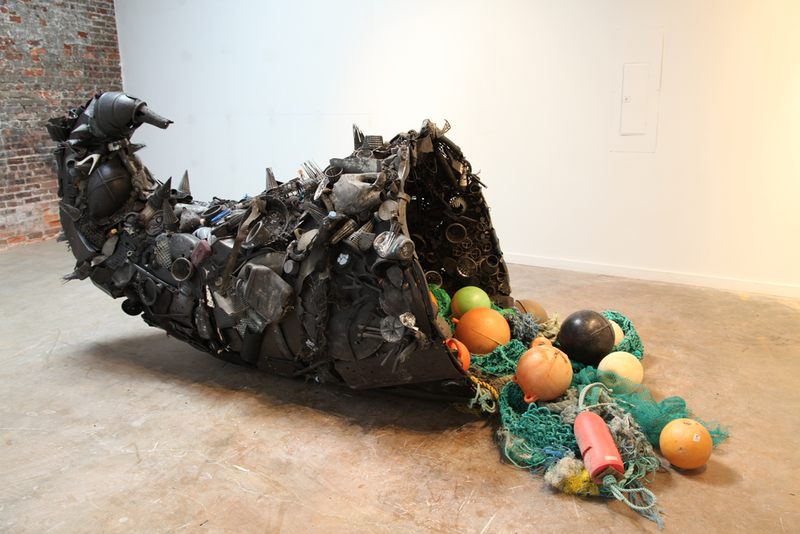 Gyre: The Plastic Ocean is on view from September 2 through November 21 at USC Fisher Museum of Art. Anne Percoco, Jersey City, N.J.